The United Nations General Assembly paid tribute to late Venezuelan President Hugo Chávez during a special ceremony on Wednesday, hailing his commitment to social justice and advocacy for society's most vulnerable groups. UN General Secretary Ban Ki-moon said Hugo Chávez was "one of those leaders that really made a difference in his country, his region, and in the world" and assured that he would be remembered for his ability to give a voice to the most vulnerable, to promote Latin American integration, and for improving the lives of the poor. "Let's honor the legacy that the President of Venezuela leaves us by renewing our commitment to keep working for the noble goals of peace, democracy, and development," said Ban. The ceremony opened with a minute of silence on the floor of the General Assembly in memory of the Venezuelan president who died from cancer on March 5th. Secretary Ban Ki-moon also showed a video of various moments in Chávez's life, recalling some of his most famous speeches and messages from his supporters. Venezuelan Foreign Minister Elias Jaua addressed assembly with a speech on Hugo Chávez's legacy in his country and in the world. "We are paying tribute to a transcendental leader that dedicated his life to continuing Simon Bolivar's efforts, and promoted the revolutionary process beyond our borders," said Jaua. Jaua noted that Chávez was "a good man that was subjected to a systematic campaign of demonization" in international media. "But he died victoriously," he said. "Chávez never gave up...He survived the imperialist attacks and went on to become a success in terms of foreign policy." Representatives from various countries around the world also spoke on the legacy of Chávez. President of the General Assembly, Vuk Jeremic, applauded Chávez for having "fully dedicated himself to his country's sovereignty" and for advocating for reforms in the United Nations. "Without a doubt, history will remember President Chávez as a charismatic leader whose progressive policies reduced poverty from more than 70 percent at the end of the 20th century to about 20 percent today," said Jeremic. UN ambassadors from Cuba, Bolivia, Peru, Santa Lucia, Uruguay, Argentina, Brazil and El Salvador also spoke at the event, lauding Chávez's work in uniting Latin American nations. Ambassadors from Chad, Qatar, Moldavia, Iran, and Finland also paid tribute to the Venezuelan leader. During his speech, Jaua said that Venezuela is a democratic country with solid institutions, but warned the United Nations that there are groups inside Venezuela attempting to destabilize the country. "We want to warn that there are right-wing groups, many times supported by imperialist forces, with intentions of creating unrest in Venezuela," he said. "Only the Venezuelan people can make the sovereign decision about who their president will be and which model they want in the coming elections," he said. 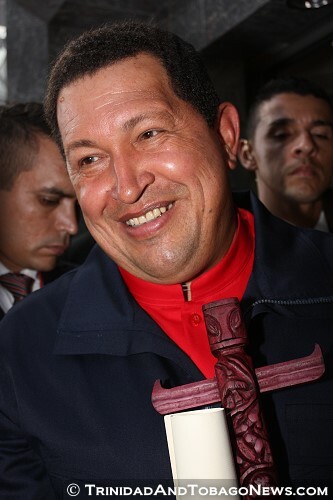 Elections to replace Hugo Chávez as the President of Venezuela have been called for April 14th. Chávez's former Vice President Nicolas Maduro will run against opposition Governor Henrique Capriles.